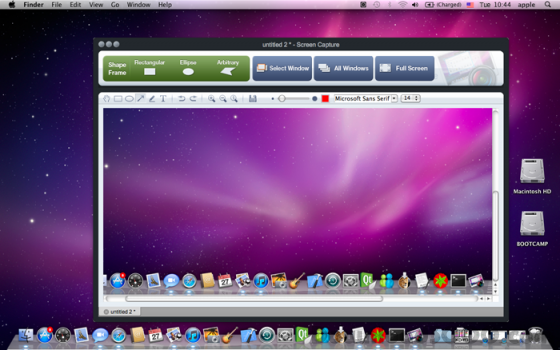 Screenshot Capture for Mac is a point and click featured screen snapshot utility for Mac OS. This awesome screen capture provides best solution for you to capture and edit a screenshot of exactly what you see on your screen including rectangle or ellipse region, application window or full screen as you need and save it into popular picture format such as PNG, BMP, TIFF, PPM, XBM, XPM, ICO, JPEG, JPG, TIF. A basic free screen capture software tool. Screen Capture Tool with built-in editor.